William Saroyan once said, "Good people are good because they've come to wisdom from failure. We get very little wisdom from success." That follows from the Armenian proverb, "A man who has not made a mistake is a man who has not truly lived." What mistakes have you made and how have they changed you? If you're a local student, we want to hear your story, about a time you "messed up" and what you learned from that experience. 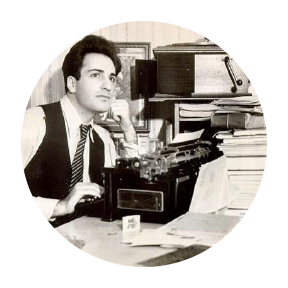 Every year, the William Saroyan Society, in partnership with Fresno County Public Library and the Fresno County Office of Education, holds a writing contest for students, and this year's theme is Mistakes. Sometimes teachers make this contest a class project to encourage writing, but you can enter on your own! So, start writing down your story and send it in (by 5 pm on April 15th)! You can pick up a copy of the entry form at any of the Fresno County Public Library branches, or print one from home. You can also read stories submitted in previous years, by clicking here.